Journal Of A Petite Diva: A CASCADE OF REVELATIONS….. I have been blogging off and on for a while but I just realized that bloggers are dependent on each other. I have noticed that when I started visiting people’s blog and leaving genuine comments I have had a substantial increase in views and in the comments on my blog. I also realized that people are unique in their blogging style. I can try to copy them but I don’t want to. We are all different and that is what makes each blogger fabulous. I visit an array of blogs, from reality to fashion to cooking to technology to gossip and I truly love the blogs I presently follow. I feel like I know the bloggers personally. One day I was on a food blog and a thought came to me. It dawned on me that despite the fact that I know how hard it has been for me to earn money from Google adsense (majorly because most of my blog views are from phones so the viewers don’t see the ads) I rarely click on ads on the blogs I visit. I read the post, leave a comment and hop on to the next blog. I rarely look around the blog to see the design of the blog or the ads. So I have made a decision to try to snop around the blogs I visit and if there are ads I must click some (not too much so that the person doesn’t get blocked). I am sure I would learn more on how to position my ads for better clicks. For the Christians, do you know what Romans 8:28 says? Oya (Okay), run and open your bible and read what it says. I am not going to write what it says so y’all can open your bible….*assignmentforyou*…lol. Anyway it is letting us know that all things work together for our good, all things, the good and the bad. As of the last hour when I checked it has been said that Nigeria has 7 reported cases of the Ebola virus and one Nigerian (a nurse) has died. The nurse was among the team of healthcare workers that attended to the Liberian who brought Ebola to Nigeria. The female doctor that was managing the Liberian has also contacted the virus but seems to be stable. About 5 more have shown signs of the virus (most of them healthcare workers). As scary as that seems a colleague made me realize that we still have to be thankful. Why? You all know that the doctors working in public hospitals are on strike which is why the Liberian was taken to the private hospital. If they were not on strike the Liberian would have been taken to either one of the two teaching hospitals in Lagos and that would have been a disaster. Imagine the amount of doctors , nurses, health attendants, pharmacists and other healthcare workers that might have had contact with the patient either directly or indirectly before they would have realized that it was Ebola. Let me just give an example of the gravity using the doctors. The ER doctors, medical interns, junior registrars, senior registrars, a consultant or consultants would have seen the patient. And definitely they would have come in contact with other healthcare workers and their family. We won’t have been talking about 7 now, it would have been hundreds. Anybody see a reason to praise God. The NMA strike even though it is for their own ‘whatever’ reason has been to the benefit of Nigerians. I am hopeful and praying that it would be stopped in its tracks and it won’t spread. I pray that the doctor and other healthcare workers recover quickly. Heard that giving an Ebola virus infected patient the blood of a patient that has completely recovered from it can help though the patient is still infective for up to 7 weeks after recovery. Though this Ebola virus is really a terrible disease it might just be the catalyst to bring the Nigerian healthcare team together. You see Ebola does not know if you are a doctor or a pharmacist or nurse. The healthcare workers are as stated by WHO are the greatest people at risk!! So any segregation at this time is at everybody’s risk. So if we are going to fight it we need to protect everyone in the hospital setting. Nobody is above or below getting infected. I absolutely don’t know what the problem of Israel is! I get their fight with the hamas sect of Palestine but how are innocent civilians or KIDS part of the fight? I have refused to understand Israel and couldn’t care less what their reasons are. I have seen pictures of kids playing on the beach and within minutes they were being arranged on a stretcher in the mortuary. What rubbish?! About 2 days ago they threw a missile inside a UN school that had majority of children. Excuse me?! What the heck is that? I grew up knowing that in war there are places you don’t venture into or bomb. Places of worship, Hospital or SCHOOLS!! Like for real! And no I am not supporting the Palestinians because I know they have a major hand in the whole problem. And if they had their chance they too would do the same. I just need both of them to LEAVE THE KIDS THE HECK ALONE!!! PICK ON SOMEONE YOUR OWN SIZE!!! By the way, would someone tell me what the whole issue is all about? Because if it is about a piece of land then both Israel and Palestine must be darn stupid!! Yes I said it! Then again I said ‘if’. Till I find out what is the root of the whole problem I would talk about it more but for now i still maintain, LEAVE THE KIDS ALONE. Has anybody heard hand sanitizer is flying off the shelves now? I was personally asked by my head of department to look for hand sanitizers for the hospital (whoop! whoop! !...i am such a chicken.....lol). Why? 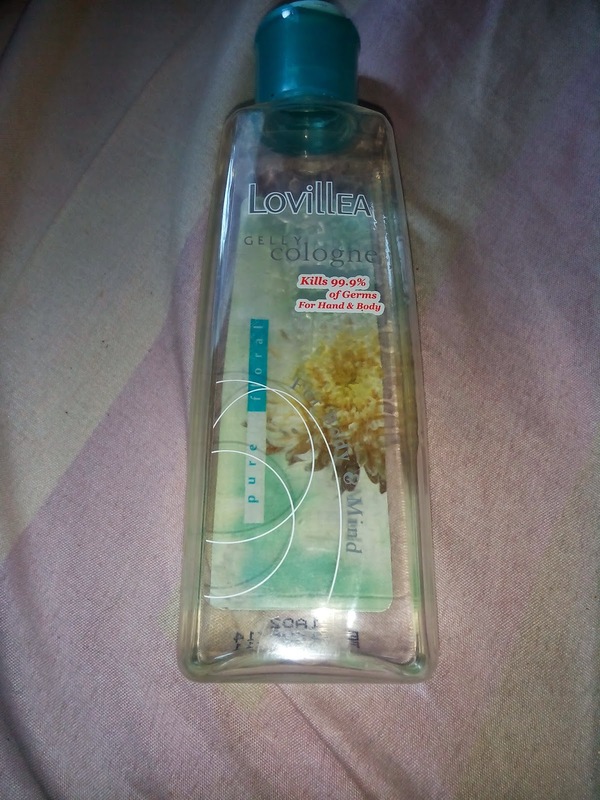 Apparently people remembered that I have always been carrying and using hand sanitizers and Uyo/Akwa ibom doesn’t really stock hand sanitizer. Apart from the pocket hand sanitizer made by Dettol and a scented hard sanitizer that I accidentally realized was one (it is a scented gelly cologne that I had used as a body splash because it can be used as a body splash…*don’tsayiamabushgirl*), I have not really seen it being sold here especially the big sized type. I usually buy my hand sanitizers from Lagos or when i travel out. After making a lot of calls I realized that it is also scarce in Lagos. But I was able to track down some quantity from the pharmacy I did my internship and it is on its way to Uyo right now. Am I good or what? *whoop! Whoop!! Just kidding….lol. The funniest thing is that I have been using hand sanitizer for about 10 years now. My first bottle was a Germ X pocket sized one given to me by my aunty. I used to use it only after Pharmaceutical microbiology practical. All those bacteria....I couldn't deal with it. Oh well, i guess my weirdness has finally paid off. I think that is all that my mind has been filled with lately. I hope you enjoyed today’s post. Hope it was not too boring. 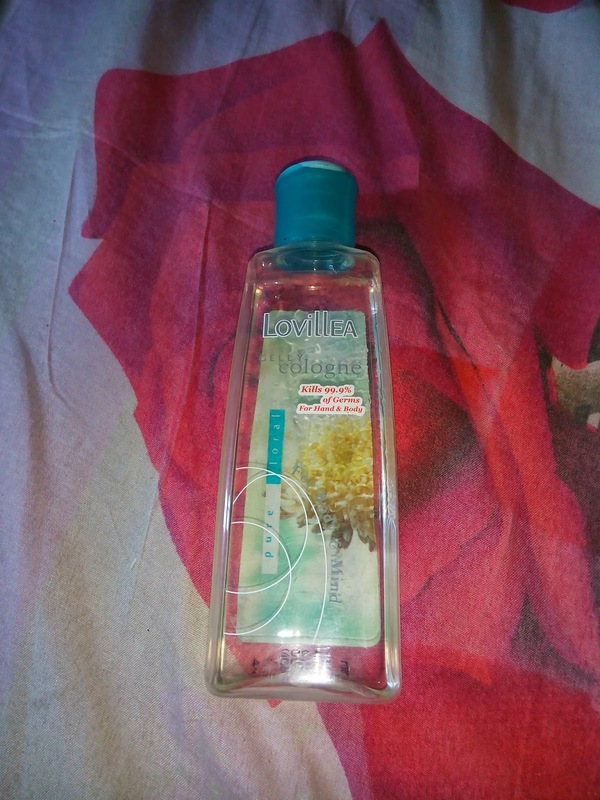 Oh, in case you cannot find any hand sanitizer that is not scented you can use the Lovillea Gelly Cologne. You just have to bear the smell if you don’t like it but it has about four fragrances (with different cap color) so I am sure you would find one you can stand. Please people try to stay safe and for now do not shake people or hug them. Prevention is better than cure. It is the 100 ml size and should cost not more than 200 Naira (2 USD) if the price has not been hiked by now. Thanks. I would definitely check out your post. Thanks for stopping by. Thanks for the info on Lovillea. I used it on my hands and neck in secondary school for the scent. Didn't know it's also a sanitiser. I'll buy again the second I see it. You are welcome. I used it too when i was in university and didn't know too. But i think they reviewed the formula because i am sure back then they never said anything about it killing germs. I hope you find it o. Okay o since you have serious immunity can you please submit yourself for research. We would like to see what is causing you to have that immunity. You might be a lab rat for some years but imagine all the good you would have done....lol. Your boyfriend dey fear like that....haha. My name is Omowunmi Abimbola. Do you need my surname? Wow, I realize now that I am so uninformed about the Ebola situation-- thanks for sharing. It's so true that there is always a reason to praise God no matter the situation. For instance, I once had a flight cancelled because the plane was faulty. Although I had a horrible night, I still praised God that I didn't go on a plane that could have crashed! The Israel situation is horrible- I can't understand how people can become so crazed that they believe bombing innocents is somehow justifiable! I am glad you liked my post. It is good to trust that God has a reason for every thing. It helps prevent a lot of stress. I agree, Israel should leave the innocent ones alone. Good for you. Now remember to use it and also wash your hands and also your fruits and vegetables well. Great job doll! Keep doing! Awww...nyc writeup boo very informative..haand sanitizers are selling like crazy.. Thanks. I know yet this people in akwa ibom have not started stocking it.